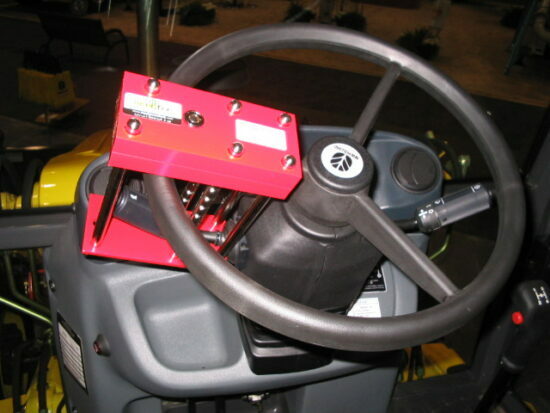 The Backhoe Lock secures the forward/reverse drive control and steering wheel in the turned position leaving the equipment inoperable. 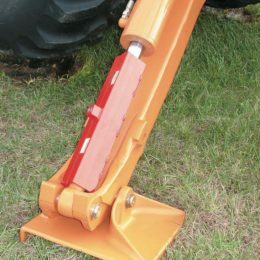 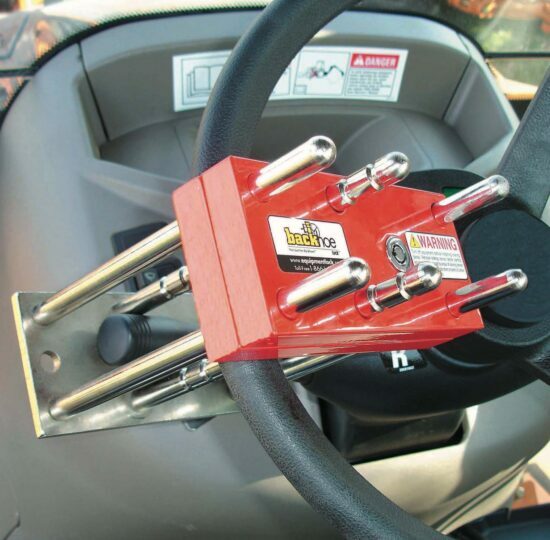 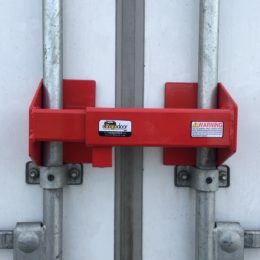 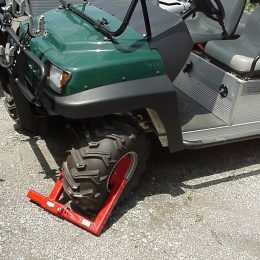 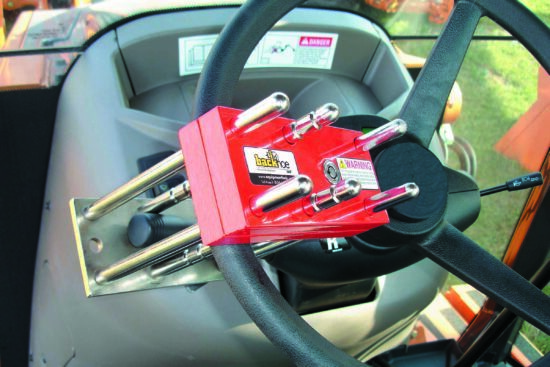 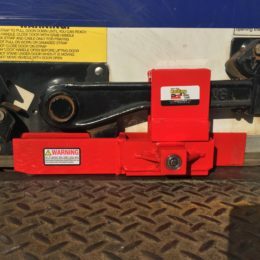 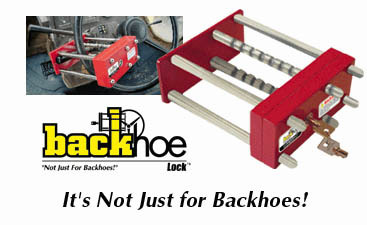 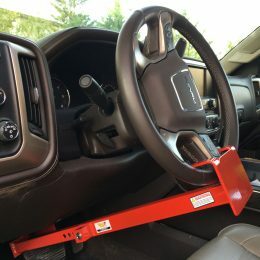 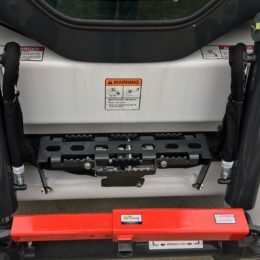 It is perfect for backhoe security. -Plate is 1/4″ x 3″ x 7″ Steel and the 6 pins are each 1/2″ x 8″ Tool Steel (electro-plated finish).